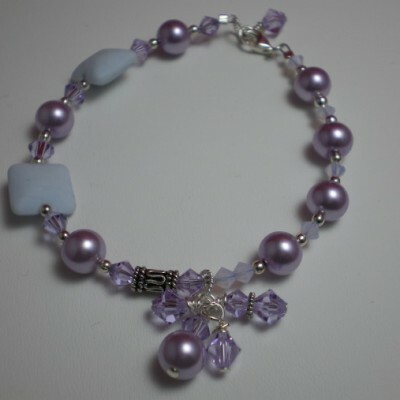 7″ Blue foil beaded bracelet. 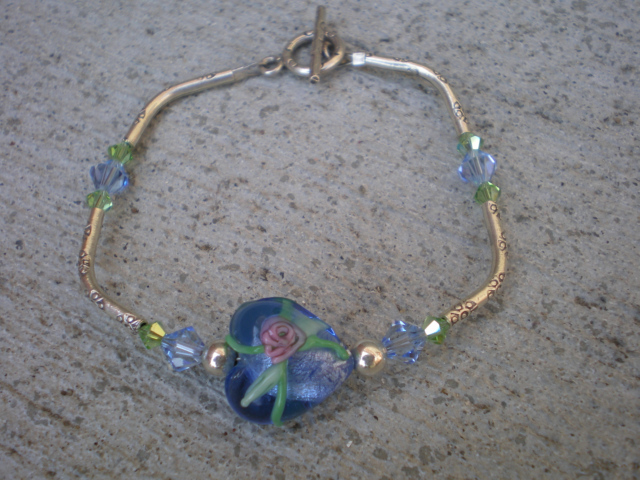 18mm blue foil heart focal lampwork bead with pink and green flowers in it. 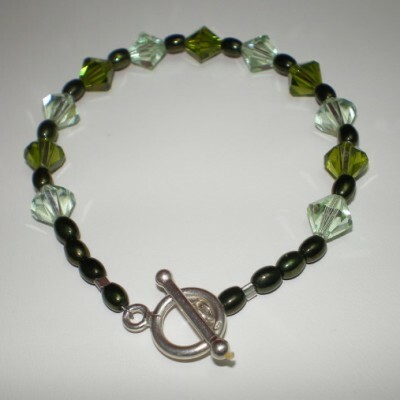 4mm swarovski peridot aurora borealis bicones, 6mm light sapphire swarovski bicones, hill tribe silver tubes and clasp. 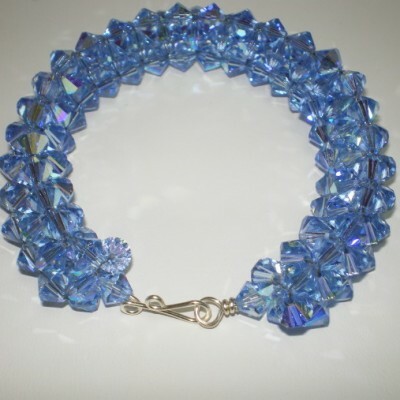 Be the first to review “7″ Blue foil beaded bracelet. 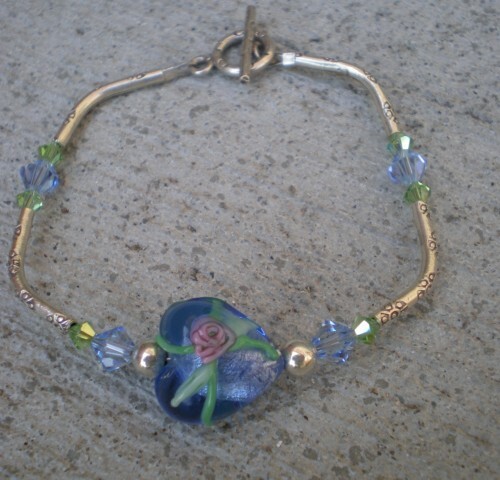 18mm blue foil heart focal lampwork bead with pink and green flowers in it” Click here to cancel reply.